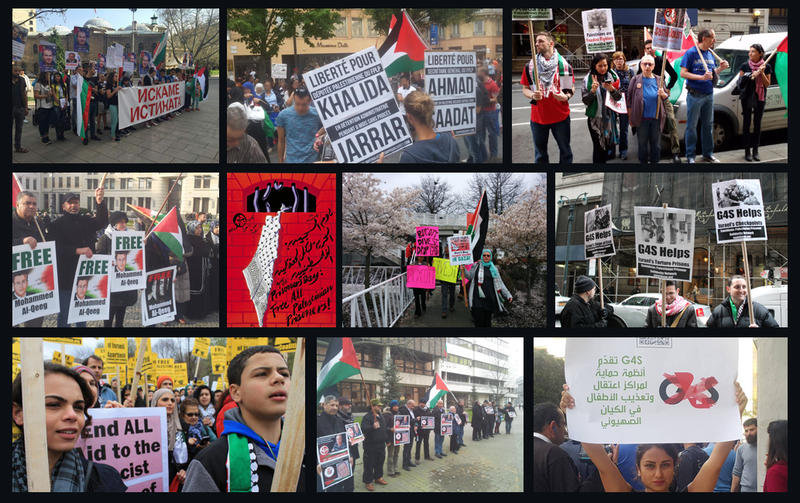 Toulouse: Freedom for all Palestinian prisoners! Today, there are approximately 5440 Palestinian prisoners in Israeli jails, including 205 children (32 less than 16 years). Mass imprisonment is a strategy that has been used since 1967 in an attempt to suppress the Palestinian people’s resistance. In December 2018, the Israeli army arrested 187 Palestinians in 5 days. Torture, ill treatement and denial of family visits are a reality for thousands of people.